If you read my blog on a regular basis, you may know that Pupa has launched a new powder foundation this month (Extreme Matt, you can read my review here). 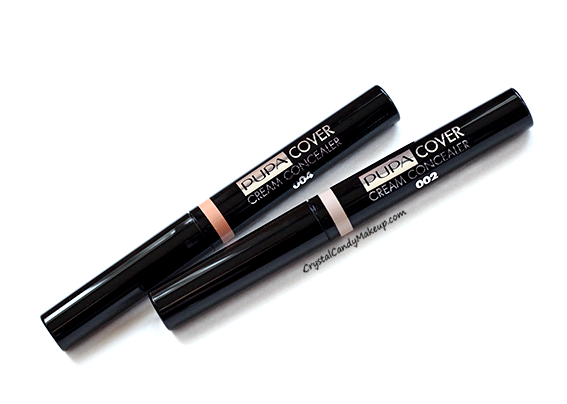 But what I haven't told you is that they are also adding a new concealer to their makeup line : Cover Cream! Its creamy texture is easy to blend and feels moisturizing but not tacky or too greasy. 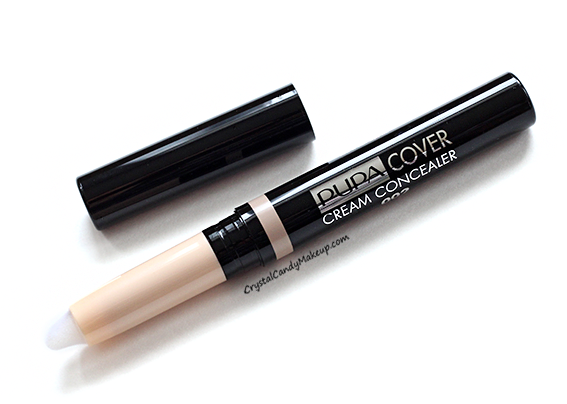 All concealers creases on me but some of them are worst, this one has good staying power and crease less than most concealer! The coverage is medium, so for most of you it will be more than enough. It has a beautiful semi-matte finish (slightly luminous) and it doesn't look cakey. I own 2 shades, 002 and 004. 002 is similar to MAC Pro Longwear Concealer in NW20, if you are familiar with MAC shades. 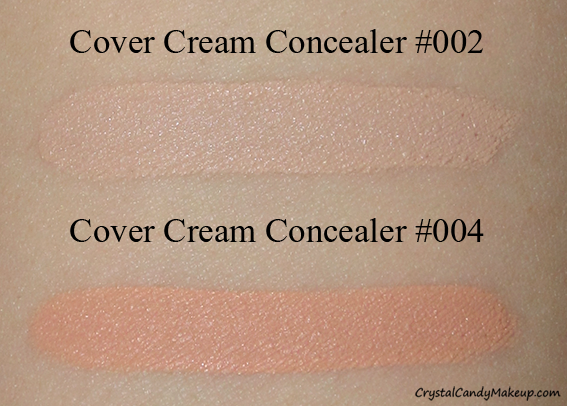 004 is a soft orange color, it's meant to be used underneath your favorite concealer. It helps to neutralize the blue/purple toned under eye dark circles. Darker skin tones could probably use it by itself. As you can see the coverage is pretty good, but you can still see the blue vein. Can you see the difference? It has more coverage, yay! You want to apply the orange concealer only where your under eye dark circles are more purple/blue. Also, be careful when you apply your favorite concealer over the 004, you need to gently pat it because if you don't, it will mix with the orange and might look too orangey or dark. And I suggest that you wait 2-3 minutes between each layer. It's not the most opaque concealer out there, but the finish is beautiful and it still gives a good amount of coverage! It's a really good concealer! 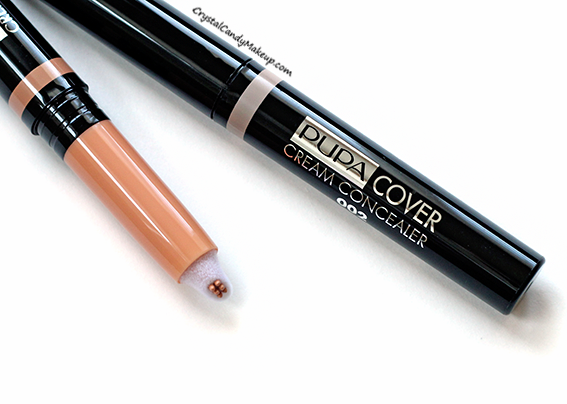 The Pupa Cover Cream Concealer retail for $20 CDN for 2.4ml.